Last days of our US road trip, visiting the incredible Grand Canyon, the impressive Hoover Dam and the bling-bling of Las Vegas. Finishing the week at the small beach town of Sayulita in Mexico, enjoying the sun and the food. Welcome to our weekly recap! This one's for February 13th - 19th, which for us is the week 7, 2015. Surprise of the week: We wanted to see the sunrise at Grand Canyon, so we got up at 5 in the morning, gulped a large cup of coffee and hopped into our car. After few miles of driving the lightness of the day started creeping into my mind... How come it is so light already, when the sunrise should be in 1,5 hours? At that point we realised that we had changed a timezone the day before, and the time was one hour more than we thought. So helplessly late for the sunset, we did a u-turn and returned to the motel for a few hours of work before heading to the the Grand Canyon again. 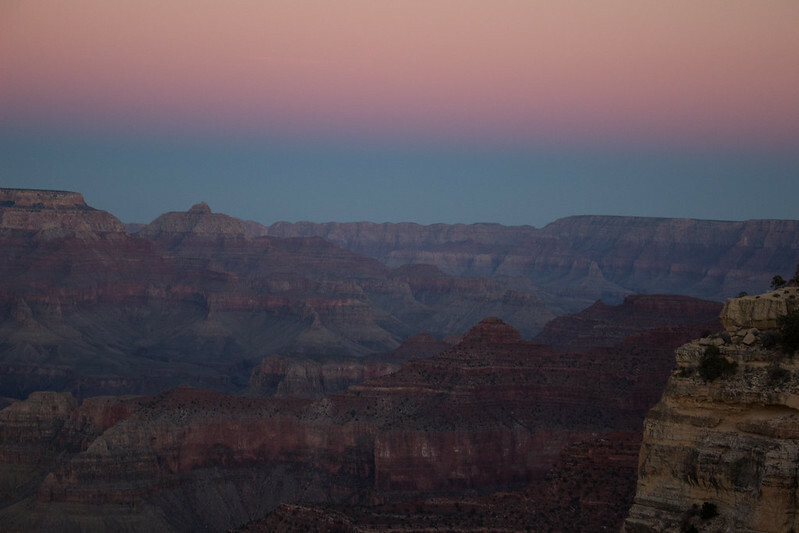 What I've learned: Winter is not the time for best sunsets at Grand Canyon. At the visitor center I asked where's the best place to watch the sunset, and the answer was "Summer". Right. Well, with the mightiness of Grand Canyon in front of us, it was still magnificent. 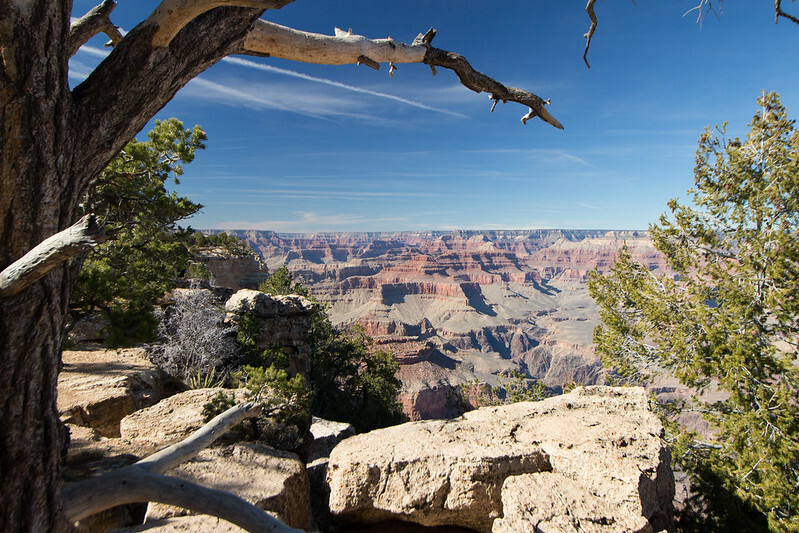 I don't think it would be possible to have a bland experience at Grand Canyon. Random thought: We visited the Hoover Dam, an engineering marvel with interesting building stories behind it. Hordes of unemployed gathered to the construction site during the Great Depression, where the pay was good but hard and dangerous work went on 24 hours a day. 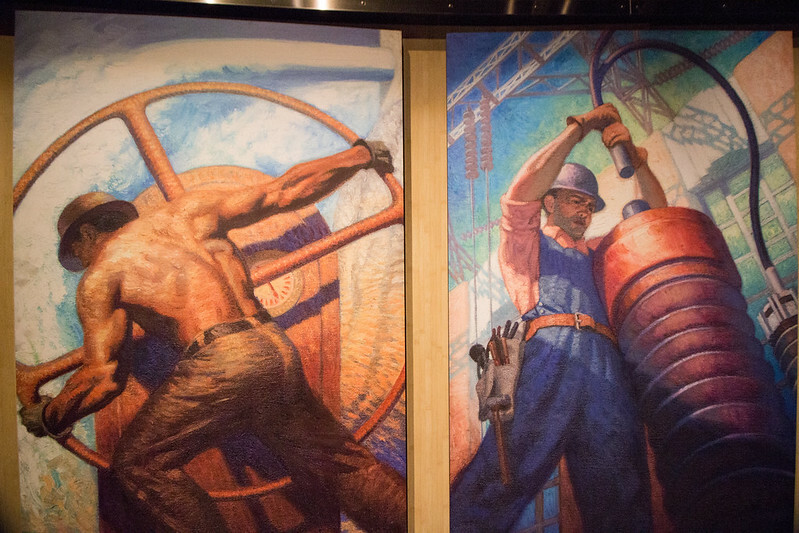 What caught our eyes were the paintings and some monuments at the dam, which reminded us of the socialist realism art seen in the former Soviet Union. Interesting. 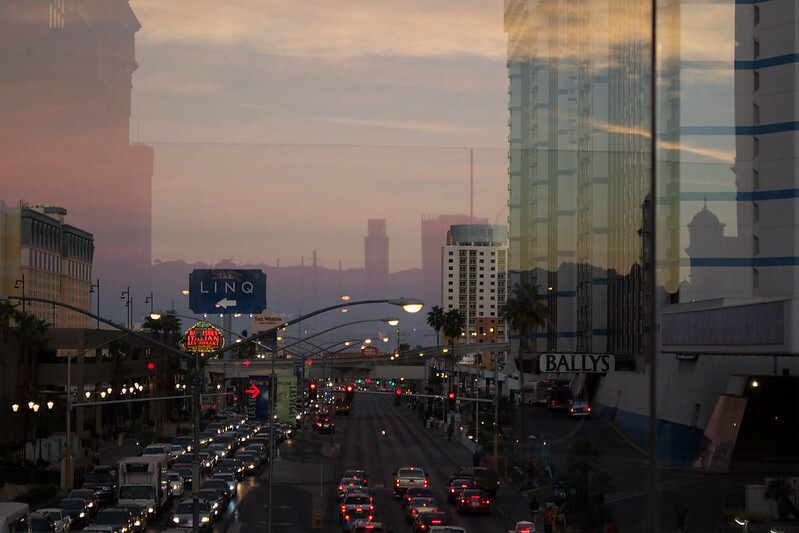 Memorable moment: Las Vegas was flashy, over-the-top, exuberant and at the same time a bit gritty. The fountain show of Bellagio captivated me, and I stayed to watch three of them. Powerful voice singing opera, water jets reaching high and the colorful lights doesn't sound like something so special, but I was swept off my feet with it. 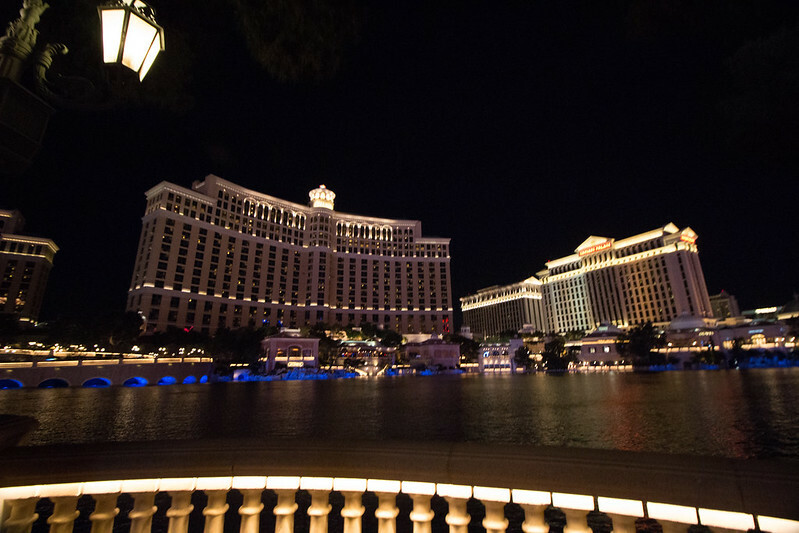 Another memorable moment was walking along the Grand Canal inside the Venetian hotel. For me it somehow captured the unreal feeling of Vegas. Tip of the week: Make sure you check the national holidays when planning! Since Las Vegas is notoriously cheap during weekdays (really, the hotel prices can be 1/3 of the price compared to weekends) I had timed our Vegas visit for Sunday to Tuesday. Except that the Monday in between was the President's day. So no cheap hotel deals for that day, no cheap gourmet buffets (damn! ), lots of people around. Workwise: This last road trip week was busy with attractions and less time for work. 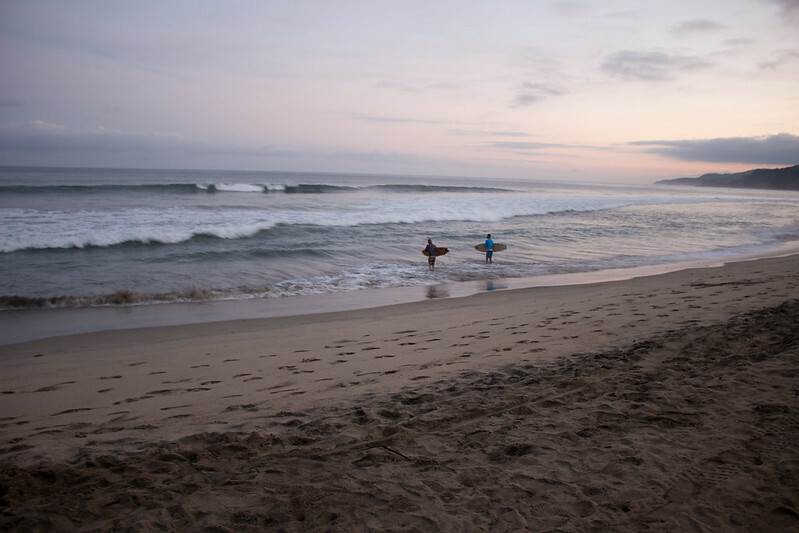 But now we are in the small town of Sayulita in Mexico, got an apartment for a month and are determined to slow down and concentrate on work. - In addition to working, Antti promised to try out surfing (it feels everyone here is a surfer). I'll stay on the shore and do my best to get some pics for you to see. Food love: We are in Mexico, so what else than Mexican food! It's so fresh, so tasty and so cheap! 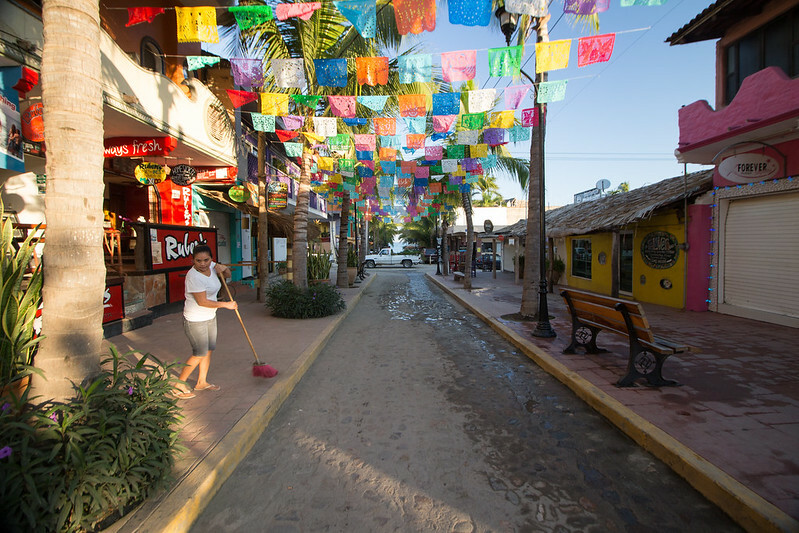 Sayulita, where we are based for a month, is an excellent place for foodies. It's quite a touristy town, which has it downsides, but it translates to many, many restaurants to try and enjoy.